From the Great Pyramid of Giza to Tutankhamun's tomb this spectacular non-fiction guide explores one history's most remarkable civilisations. Divorced, beheaded, died, divorced, beheaded, survived. Who ruled after his death?. Ladybird book Series 561 - First published 19 57 - 24p net. 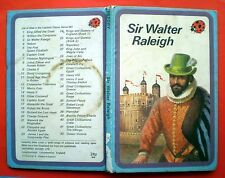 "Sir Walter Raleigh ". Cover marks, a few small red pen writing/marks on 2 text pages, all else very good -stiff,clean, colourful, bright. A fascinating book, gorgeous illustrations, best for about 8 plus collectors. Ladybird book Series 649 - First published 19 68 - 2'6 net. 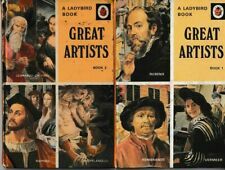 Take a look at myLadybird books at. HORRIBLE HISTORIES - TERRIBLE TUDORS. Which shocking swear words the Tudors used?. Discover all the foul facts about the Terrible Tudors - all the gore and more! FROM A SERIES OF 'HORRIBLE HISTORIES ' READING BOOKS BY TERRY DEARY. Ladybird book - First edition from 19 81 - Gloss. "Royal Wedding ". A flyleaf dedication, all else very good -clean, colourful, bright. The Telescope And Microscope Ladybird vintage book history science astronomy 71. Ladybird book Series 654 - First published 19 71. THE SHORT AND BLOODY HISTORY OF PIRATES. Have you ever wondered why pirates wore gold earrings?. This is one of a series of 'SHORT AND BLOODY HISTORY' books which will appeal to children who are eager to learn about fascinating facts from history. 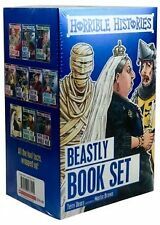 HORRIBLE HISTORIES - BLITZED BRITS. Why the blitzed Brits ate chicken-fruit, sinkers and nutty?. Discover all the foul facts about the Blitzed Brits - all the gore and more! FROM A SERIES OF 'HORRIBLE HISTORIES ' READING BOOKS BY TERRY DEARY. HORRIBLE HISTORIES - FRIGHTFUL FIRST WORLD WAR. Discover all the foul facts about the Frightful First World War - all the gore and more! FROM A SERIES OF 'HORRIBLE HISTORIES ' READING BOOKS BY TERRY DEARY. HORRIBLE HISTORIES - ANGRY AZTECS. Why the Aztecs liked to eat scum?. Discover all the foul facts about the Angry Aztecs - all the gore and more! FROM A SERIES OF 'HORRIBLE HISTORIES ' READING BOOKS BY TERRY DEARY. 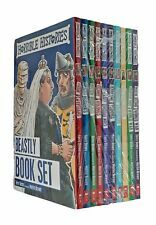 HORRIBLE HISTORIES - INCREDIBLE INCAS. Discover all the foul facts about the Incredible Incas - all the gore and more! FROM A SERIES OF 'HORRIBLE HISTORIES ' READING BOOKS BY TERRY DEARY. The books are ideal for independent readers and are divided into sections, with a 'Contents' page at the beginning. HORRIBLE HISTORIES - VILLAINOUS VICTORIANS. Discover all the foul facts about the Villainous Victorians - all the gore and more! FROM A SERIES OF 'HORRIBLE HISTORIES ' READING BOOKS BY TERRY DEARY. The books are ideal for independent readers and are divided into sections, with a 'Contents' page at the beginning. HORRIBLE HISTORIES - STORMIN' NORMANS. Discover all the foul facts about the Stormin' Normans - all the gore and more! FROM A SERIES OF 'HORRIBLE HISTORIES ' READING BOOKS BY TERRY DEARY. The books are ideal for independent readers and are divided into sections, with a 'Contents' page at the beginning. The Story of Exploration by Anna Claybourne. I will help all I can with all claims. it also makes making a claim easier. Paperback book with very minor reading wear. TALLY 150-----. INSIDE 1ST PAGE 2/6 NET----------. THIS IS ONE OF THE SERIES 561-. COVER HAS EDGE WEAR MORE AT CORNERS----------. INSIDE IN VERY GOOD CONDITION------------. HORRIBLE HISTORIES - SMASHING SAXONS. Discover all the foul facts about the Smashing Saxons - all the gore and more! FROM A SERIES OF 'HORRIBLE HISTORIES ' READING BOOKS BY TERRY DEARY. The books are ideal for independent readers and are divided into sections, with a 'Contents' page at the beginning. HORRIBLE HISTORIES - VICIOUS VIKINGS. Discover all the foul facts about the Vicious Vikings - all the gore and more! FROM A SERIES OF 'HORRIBLE HISTORIES ' READING BOOKS BY TERRY DEARY. How to build a vicious Viking longboat?. HORRIBLE HISTORIES - GORGEOUS GEORGIANS. What the Georgians did with squashed fish eyes?. Discover all the foul facts about the Gorgeous Georgians - all the gore and more! FROM A SERIES OF 'HORRIBLE HISTORIES ' READING BOOKS BY TERRY DEARY. HORRIBLE HISTORIES - SLIMY STUARTS. Discover all the foul facts about the Slimy Stuarts - all the gore and more! FROM A SERIES OF 'HORRIBLE HISTORIES ' READING BOOKS BY TERRY DEARY. The books are ideal for independent readers and are divided into sections, with a 'Contents' page at the beginning. HORRIBLE HISTORIES - BARMY BRITISH EMPIRE. Discover all the foul facts about the Barmy British Empire - all the gore and more! FROM A SERIES OF 'HORRIBLE HISTORIES ' READING BOOKS BY TERRY DEARY. The books are ideal for independent readers and are divided into sections, with a 'Contents' page at the beginning. HORRIBLE HISTORIES - WOEFUL SECOND WORLD WAR. Discover all the foul facts about the Woeful Second World War - all the gore and more! FROM A SERIES OF 'HORRIBLE HISTORIES ' READING BOOKS BY TERRY DEARY.